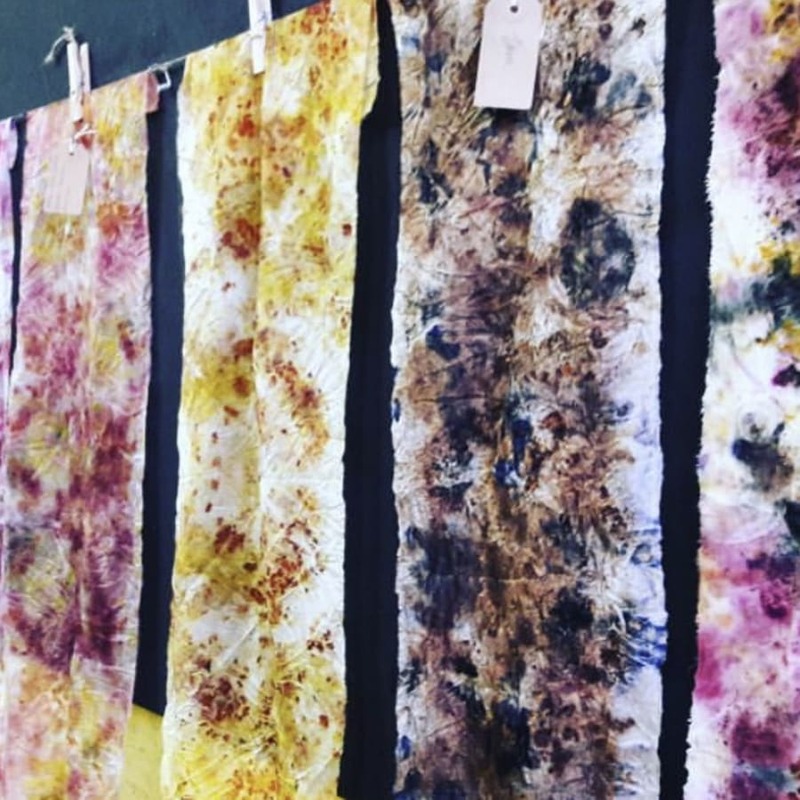 We are teaming up with Flora Arbuthnott of steam and colour to bring you an introduction to bundle dyeing using natural dyes and plants. 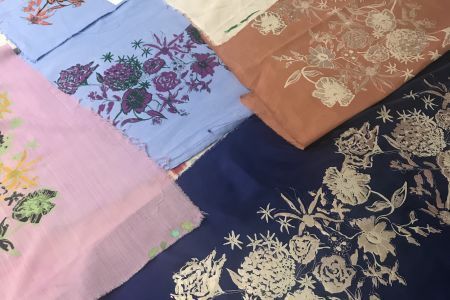 During the course you will learn how to create beautiful patterns and prints on fabric using flowers, leaves, roots, and barks through a binding and steaming process. You will take home with a length of silk that can be used to make either a scarf, pillowcase, bags, or you can even just frame it. 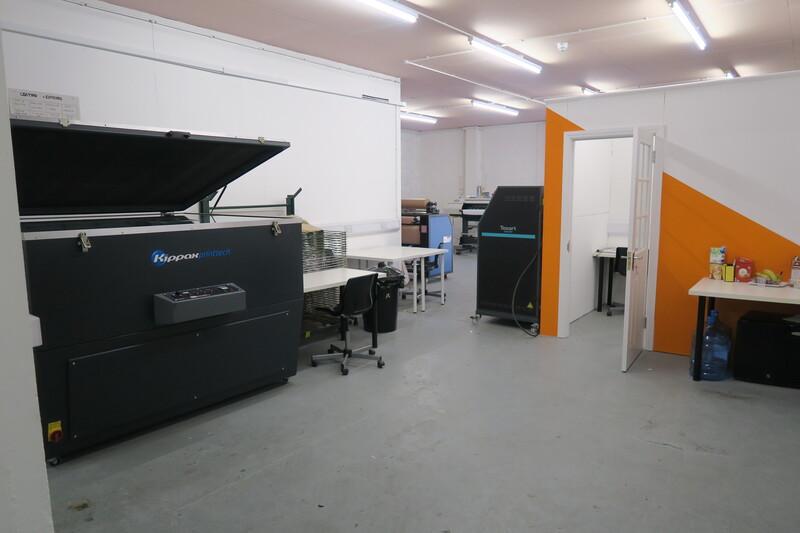 The great thing about this workshop is that everything that you have learnt during the course can be re-created at home. 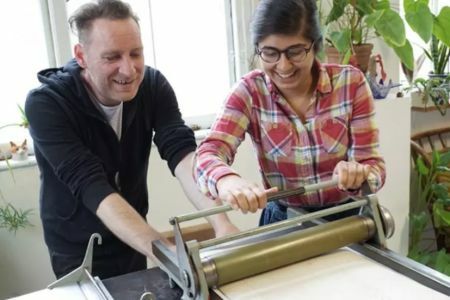 You will leave with the knowledge and skills required to make your own bundle–dyed items, using simple equipment which can be found in your kitchen. 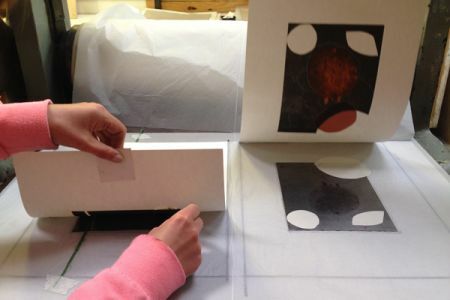 The workshop fee includes a one meter piece of silk plus all workshop materials, there will be additional silk to buy on the day should you wish to make more than one piece. 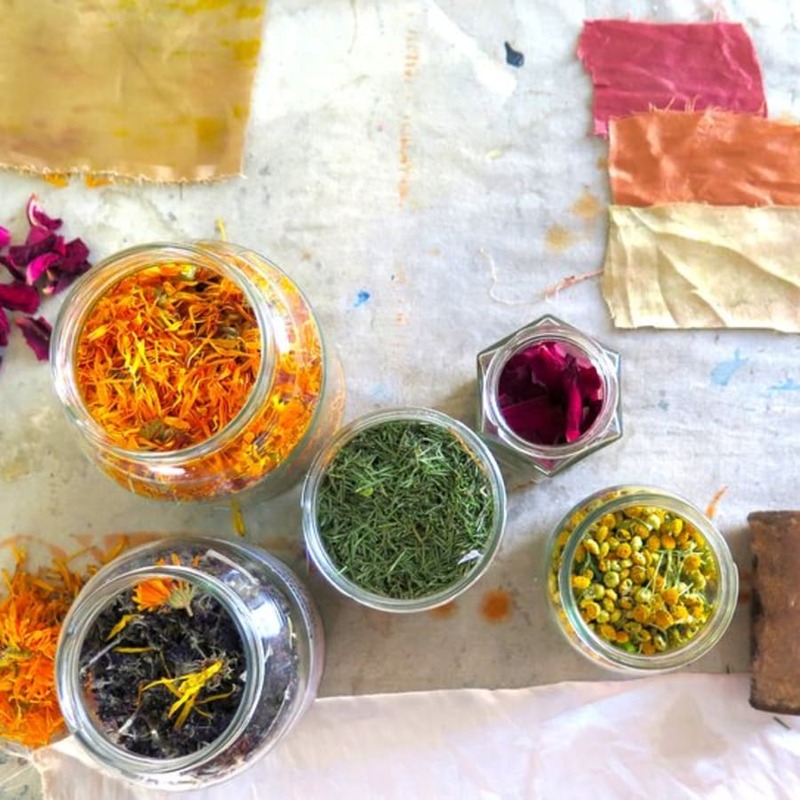 Flora Arbuthnott is a natural dyer, grower, and forager. 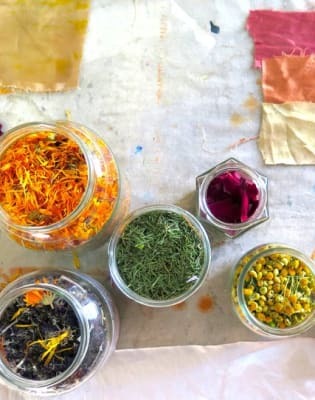 Who explores the land through gathering wild dye plants, fungi, lichen, and algae, as well as growing plants to produce a variety of vibrant colours using non toxic plant based processes. All materials are included. You are welcome to bring a small quantity of natural fibres to dye. Animal fibres do take the colour better. If you do wish to bring plant fibres, I recommend you soak these in soy milk over night and then dry the soy milk in to the fabric.